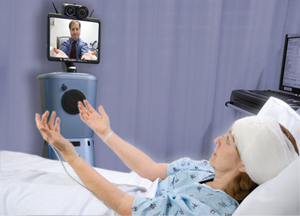 Telehealth: Cost Saver or Cost Driver? 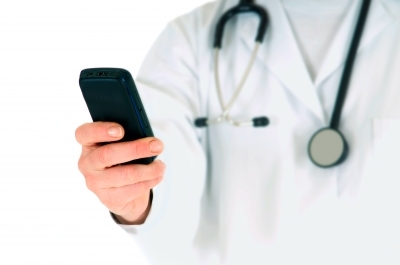 Over 1 million virtual doctor visits were reported in 2015. Telehealth companies have long asserted that increased access to physicians via video or phone conferencing saves money by reducing office visits and Emergency Department care. But a new study calls this cost savings into question. Increased convenience can increase utilization, which may improve access, but not reduce costs. The study has some obvious limitations. First of all, it followed patients who used one particular telehealth service for one specific cluster of disease (“respiratory illness”) and narrowed the cost measure to spending on that condition only. Strep throat, coughs, and sinusitis are not drivers of potentially expensive care to begin with, so major cost savings (by avoiding the ER or hospitalization) would not be expected with the use of telehealth services for most of these concerns. Secondly, the patients whose data were scrutinized had commercial insurance (i.e. a generally healthier and younger population than Medicare beneficiaries, for example), and it is possible that the use of telehealth would differ among people with government insurance, high-deductible plans or no insurance at all. Thirdly, the study did not look at different ways that virtual doctor visits are currently being incorporated into healthcare delivery systems. For example, I was part of a direct primary care practice in Virginia (DocTalker Family Medicine) that offered virtual visits for those patients who had previously been examined in-person by their physician. The familiarity significantly reduced liability concerns and the tendency for over-testing. Since the doctor on the other side of the phone or video knew the patient, the differential diagnosis shrank dramatically, allowing for personalized real-time treatment options. I’ve also been answering questions for eDocAmerica for over 10 years. This service offers employers a very low cost “per member per month” rate to provide access to board-certified physicians who answer patient questions 24/7 via email. eDocs do not treat patients (no ordering of tests or writing prescriptions), but can provide sound suggestions for next steps, second opinions, clarifying guidance on test results, and identify “red flag” symptoms that likely require urgent attention. 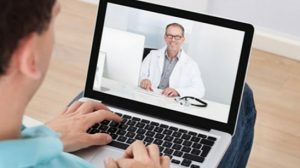 For telehealth applications outside the direct influence of health insurance (such as DocTalker and eDocAmerica), cost savings are being reaped directly by patients and employers. The average DocTalker patient saves thousands a year on health insurance premiums (purchasing high deductible, catastrophic plans) and using health savings account (HSA) funds for their primary care needs. They might spend $300/year on office or virtual visits and low-cost lab and radiology testing (pre-negotiated by DocTalker with local vendors). As for eDocAmerica, employers pay less than a dollar per month for their employees to have unlimited access to physician-driven information. The universe of telehealth applications is larger than we think (including mobile health, remote patient monitoring, and asynchronous data sharing), and already extends outside of the traditional commercial health insurance model. Technology and market demand are fueling a revolution in how we access outpatient healthcare (which represents ~40% of total healthcare costs), making it more convenient and affordable. As these solutions become more commonplace, I have hope that we can indeed dramatically reduce costs and improve access to basic care. Keeping people well and out of the hospital should be healthcare’s prime directive. When those efforts fail, safety net strategies are necessary to protect patients from devastating costs. How best to provide that medical safety net is one of the greatest dilemmas of our time. For now, we may have to settle for solving the “lower hanging fruit” of outpatient medicine, beginning with expanding innovative uses of telehealth services. Bill Crounse, MD, Senior Director, Worldwide Health, Worldwide Public Sector Microsoft Corporation shares his insights and describes four leading trends and technologies that will transform health and health care in 2012 and beyond. These leading technologies include: cloud computing, health gaming, telehealth services and remote monitoring/mobile health. Did you know that every nursing home resident in the U.S. must be asked every quarter whether she wants to go home, regardless of her health or mental status? And if she says yes, there is a local agency that must spring into action to make that happen. This is the result of a 2010 Center for Medicaid/Medicare Services regulation aimed at helping keep older people in their (less expensive) homes rather than institutional settings. A New York Times article notes that the nursing home exodus, while modest to date, is building. This means the number of people with serious chronic conditions like congestive heart failure, diabetes and chronic obstructive pulmonary disease who draw heavily on community-based primary care services will grow. These returnees are joining their peers and the blossoming crowd of us Baby Boomers who intend to resist living in nursing homes with as much spirit as our parents did, while the consequences of our plump and sedentary lifestyles arrange themselves into a constellation of diabetes, congestive heart failure and COPD similar to the one that plagues our elders. Both in the United States and around the globe there is a mismatch between needed medical care and the doctors who can provide it. Most physicians are located in urban areas where there are hospitals, teaching schools, lab and Xray and specialists to deal with most every medical condition. Rural areas in the United States lack these resources and patients either do without, or must travel far to be seen. In developing countries there may be no services at all for hundreds of miles. That is where telehealth can play a huge role in bringing medicine to the people. In a recent Harvard Business Review Blog, David Armano writes about the six pillars of influence that lead to measurably favorable outcomes. To achieve measurably better health, the pillars Armano explains can certainly be adopted. 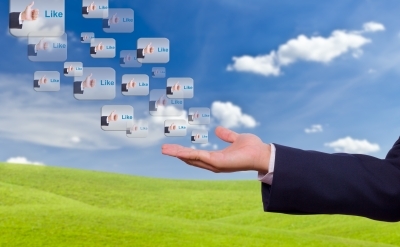 Social networking has changed the landscape in health care. Technology has paved the way for instant communication and feedback.